Hi everyone! 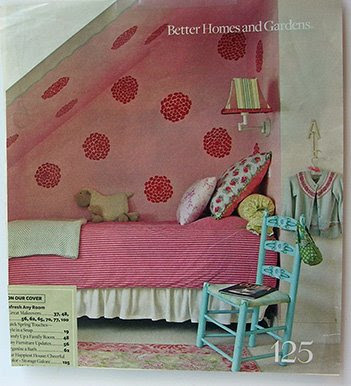 - its Garden Party Time again - where a magazine clipping from the "inspiration shoe box" is used to make a card. The colors are pretty subtle and it took me a long time to come up with something. I actually made 2 cards -but didn't care much for the first. So here is the second one. With the subtle colors, I decided on a wedding congratulations theme and I mostly focused on the pillows. I used a stamp from one of my favorite artists. The stamp is called Victorian Rose, from Impression Obsession. 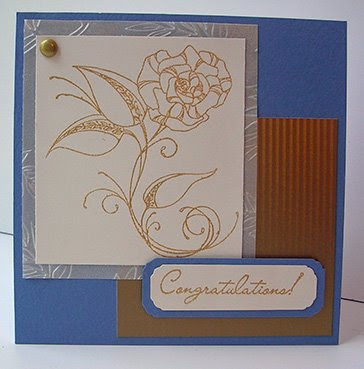 I embossed it using Ranger Gold pearl over Versamagic Magnolia bud ink. I also embossed over a brass brad for the corner. Just ink it with Versamark, dip it in the embossing powder and heat it (use tweezers to hold it!). If you want more than one coat, just dip it again before it cools and reheat. Mine has 3 coats. I had all the papers in my stash - Prism cardstock, and embossed vellum and a striped metallic gold. So that was this week's attempt. Here is the picture for next week. When I saw it, the first thing I thought of was the Basic Grey Blush collection (one of my favorites). So I may use some of that. If you want to play along, just leave a comment here with a link to your card and I'll include it in next week's post. Love your take on this inspiration piece! Such a clean look for a beautifully stamped image! 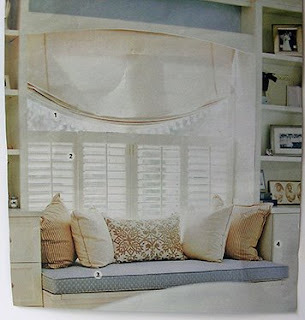 My 11-year-old daughter was looking over my shoulder when I scrolled down to the next inspiration photo and fell in love with that decor but who could blaim her! Light blue and red are one of my favorite color combos. Hopefully, I'll have time to give it a try! You made a beautiful card for the photo! I wonder what will you make for the next photo. I love the next one...look so sweet! What a great inspiration photo for this week! I'm hoping to play.